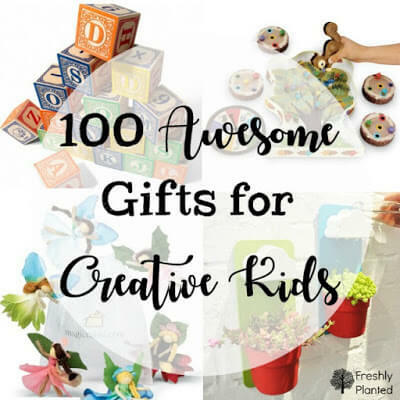 Toys and games to help build creative kids! 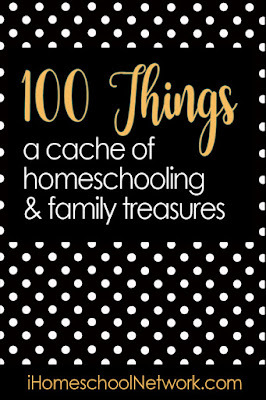 Useful gift recommendations for homeschoolers and kids who have everything. Standstill holiday check-out aisles are a community affair. There's something that connects you with other parents who are simultaneously holding onto wiggly toddlers while trying to tie kid shoes (which were double-knotted just moments ago). She sighed that it's hard to raise kids without tripping over toys. I nodded in agreement. Living in a modest house with three kids, we consider new toys carefully. When our oldest was born, we scoured toy catalogs and Amazon reviews. It wasn't always easy to find toys that were well made and kept her interest. Luckily, we had friends to help! Most of our best-loved toys began as friend recommendations & gifts. Amazon reviews are helpful, but nothing beats the tried & true favorites of other families. We asked for more recommendations until our collection grew into its present-day assortment. 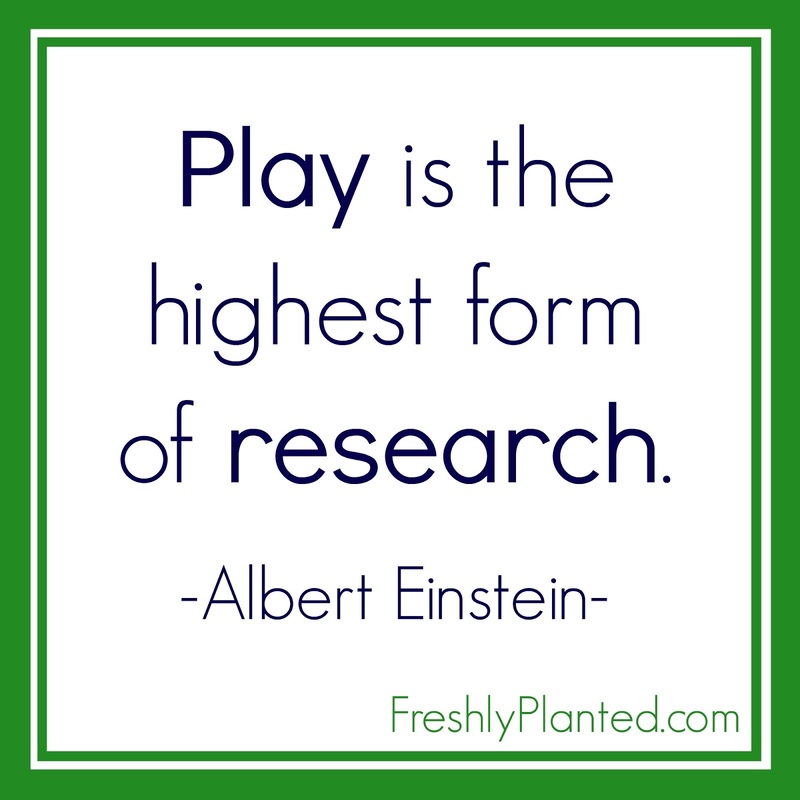 Activities that engage our active homeschool kids & keep them thinking. So we want to share those recommendations with you! These are the books on our shelves, the games we play everyday, and the toys that are usually covering our floor. We hope you find new favorites for your family, too! Duplos: Loved by all the kids! This was our first set. Farm Duplos: There are lots of great building plans, and cute animals too. TEDCO Marble Run: Made in Indiana! Our older kids love it, and I keep the marble so we can test their creations out together (without worrying about the toddler finding it first). Alphabet Blocks: Made in Michigan! 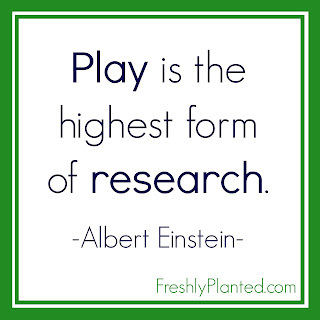 They're played with everyday and used often for homeschool. We spell the animal blocks out, pick one letter randomly and pick which letters go before & after, and they're great for number practice too. MagFormers: 3D shapes are fun- and build math skills, too. Castle Blocks: Going under our Christmas tree this year. They’ll be perfect with our Playmobil figures. Magna Doodle:This is great for traveling! Etch A Sketch: Classic creativity. Take-along Pocket Fairies: My oldest daughter’s had this set for three years. They migrate from our nature shelf to her nature bag to dollhouse and back again. Much-loved, and very sweet. Play Silks: Perfect for dress-up! Ours get used in small world play too. Kid Tape Measure: Because kids love to measure everything! This one is made to last. TOOB Pets: All the TOOB sets are amazing! This is one of our favorites. Finger Puppets: Great for puppet plays! Also handy to keep in diaper bags & purses. Playmobil Carry Cases: One of the best “quiet time” toys for my older kids. Playmobil Outdoor Care Kit: Large sets are easy for multiple kids to play with. Play tent: We use ours indoors more than outdoors! Simple to set up, we fill it with blankets & books on rainy or snowy days. Perfect with a lantern (see below). Lantern: Sturdy, and easy to carry on adventures. 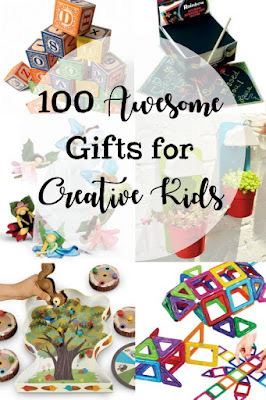 A great gift for kids who have everything! Wooden Cutting Food: My older kids still love these! Fold & Go Barn: Perfect for small spaces, this gets stored under our coffeetable. First Porcelain Tea Set: Sturdy enough for little hands! The first “nice” tea set our kids use. Modeling Beeswax: Brilliant color, easy to shape when warm, and creations last forever. Plastic Magnifying Glass: Sturdy enough for adventures! Large Rainbow Stacker: A mainstay in the Waldorf classroom. Voice/Radio Recorder: For anyone else who recorded themselves on their cassette player & made mixed tapes as a kid. This is the modern, mp3, handheld version for the next generation. Press Here: Love. This. Book. Waldorf Alphabet Book: A beautiful alphabet book! Great vocabulary builder. I Spy: An Alphabet in Art: A fun way to introduce kids to well-known artworks. Wreck this Book: Ours travels with us! 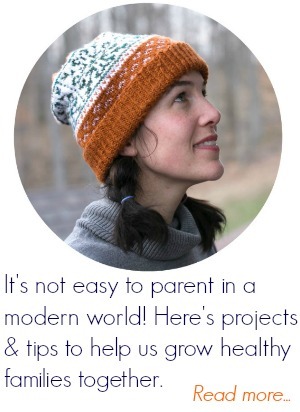 Especially recommended for perfectionist kids (and adults). Mouse Paint: My favorite color mixing book for kids! Where’s Waldo? The Wonder Book: If there’s silence, then our kids are likely cuddled up looking at this. It’s magical. Poetry for Young People: Emily Dickinson: Easy, relatable poems for kids. Her riddle poems are wonderful and perfect for copywork. Ed Emberley’s Complete FunPrint Drawing Book: I loved these books as a kid so it’s fun to see our kids love them, too. Great for capturing little fingerprints! Eric Carle’s Animal Flash Cards: Not a book, but our kids love to read these. 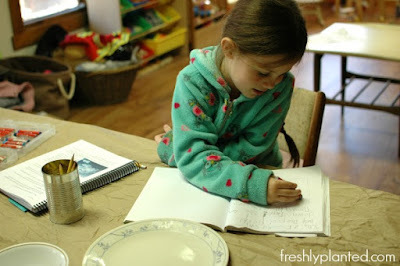 Also fun to act out, or hide around the house for a scavenger hunt. Tinkerlab: A fun guide of artistic experiments for kids. My kids love picking out new projects! Ish:To help promote flexibility in kids, especially with art. The Book with No Pictures: Highly recommended by friends, this is on our wish list. Maps: Beautiful book of the world. Rad Women A to Z: On our wish list, for future movers & shakers. Dry Erase Crayons: We draw on windows, glass doors & mirrors! Cleans off with window spray. Block Beeswax Crayons: Virtually indestructible, a great set for all ages. Blend wonderfully. Construction Paper: Great colors, good value. Drawing Paper: A quick confession- I used printer paper for years thinking my little kids wouldn’t know the difference. Trust me, they do. Unlined Composition Book: Our favorite homeschool book, makes a great sketchbook too. LYRA Giant Colored Pencils: Vibrant, great for little hands. LYRA Skin Tones Colored Pencils: Because people come in many shades! Prismacolor Colored Pencils: I've used these since art school- fantastic pigment & easy to layer. Stick Beeswax Crayons: A whole set for around $10. Great quality & sturdy. Pan Watercolors: Simple to use, store easily. Watercolor Paper: Thick paper lets kids explore color without wrinkling or tearing. Great stuff! Watercolor Postcards: Another great gift for kids with everything. Adored by all. Watercolor Pencils: We love these for hiking trips. Pentalic Aqua Journal: On our wish list for when the kids are older. Paintbrushes: This is the best deal on brushes. Scratch Art Rainbow Mini Notes: Awesome value. Mesmerizing for all ages. Low Temp Glue Gun: Great for projects. Lily’s Pictures: One of my favorite art books for kids. Lily loves to paint her world, and kids can relate to her pictures. Sadly out-of-print, but worth getting used. Princess Sylvie: Or anything by Elsa Beskow. Anything. The Tale of Peter Rabbit: Our kids adore this kid-sized classic. Polka Dot Penguin Pottery: Another good book for perfectionists! The main character turns a mistake into a masterpiece. The Table Where Rich People Sit: A beautiful book about gratitude. D’Aulaire’s Book of Greek Myths: Gorgeous book of myths, especially for older kids. Connect 4: Great multi-age game! Roll & Play Game: One of our favorite first games! Roll the big, soft dice on the floor and follow the directions. Great for movement & color recognition. eeBOO Animal Bingo: Gorgeous illustrations, sturdy, and easy for siblings to play together. HABA First Orchard Game: A beautifully made first cooperative game. Toddler-friendly. Find Your Friends: A great introduction to diversity and fun to play. Blink: The World’s Fastest Game: At a recent gathering the adults “borrowed” these from the kids so they could race each other! For two players. SET: A classic. If you’ve never played before, the app is helpful to play first & get the hang of it. Hoot Owl Hoot: A great cooperative game to build strategy! We like to play this one right before bed. The Sneaky, Snacky Squirrel Game : Great for fine motor skills, color recognition, and building elasticity in kids through setbacks. 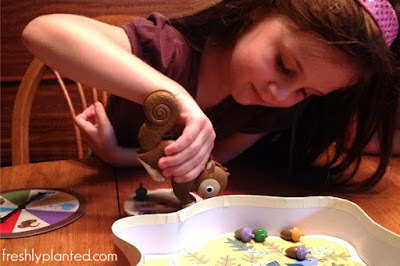 Feed the Woozle: A great cooperative game to get the wiggles out! Sequence for Kids: A great strategy introduction, that’s fun for adults too. Ticket to Ride: On our wish list! Great for teaching US geography. Spot it! : An awesome after-dinner family game. 4-in-1 Dinosaur Puzzles: Our favorite preschool puzzle set! A great brain-break for older kids since they’re quick & easy. World of Bugs Jigsaw Puzzle, 60 pcs: Beautifully illustrated. Obstacles: This keeps being recommended. On our wish list. Clue: One of our favorites, we're waiting for the kids to be old enough to play. Apples to Apples: Another game that's great for older kids. Melissa & Doug Scratch Art: Includes stencils & four different kids of paper. Plush Craft Owl Pal Pillow: Our oldest loves these punch fabric projects. So easy! Ready, Set, Cut! : A fun cutting set with lots of projects. Scratch Ornament Party Pack: Great for parties, our kids adore these. Rainy Wall-hung Flower Pot: On our wish list. I love the rainy clouds! Wooden Doll Clothespins: Perfect for creating people. We love to add fabric & ribbon. Spirograph Cyclex Kit: A great first spirograph kit! Easy to hold. The Original Spirograph: Perfect for advanced spirographs. Butterfly Garden: A family tradition each spring. We also use it for bugs during the summer. 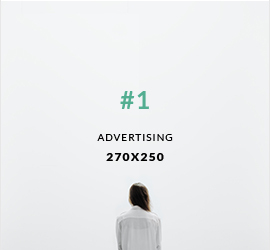 Umbra Photo Display: Perfect for hanging a gallery in a room! Easy Change Artwork Frame: These are on our wishlist. So easy. Chrome Picture Collage Holder: The holder is a work of art, too! What are some of your family's favorites? We'd love to hear your recommendations in the comments!